I had a late night, an early morning, a day of class, then work. I was exhausted and possibly even a bit grumpy. Nothing profound. Nothing life changing. Not the secret to the lottery numbers for tonight. However, those little words and that little thought brought so much joy and encouragement to my day. I’m so thankful for people in my life who encourage me. However big or small the gesture, it is so appreciated. I enjoy receiving encouragement. I’m sure others do too. Note to self: pass it on. 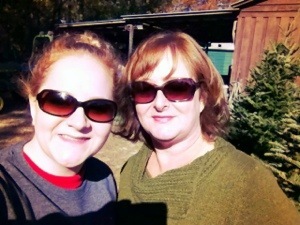 Thankful for my incredible family, the memories, and the traditions. 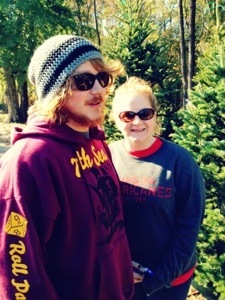 Today, we went to the tree farm, got a Christmas tree for the house. 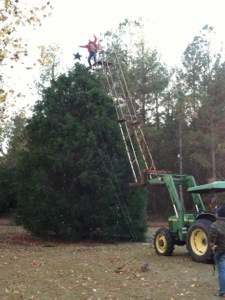 Then we started the process of laying out all the lights for the outdoor tree. Halfway through we left for thanksgiving dinner with the family. 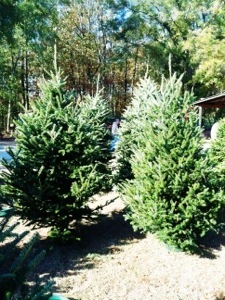 Finished the day the lighting of both the indoor and outdoor trees. The star on our outdoor tree has been in the family since my dad was in 1st grade. 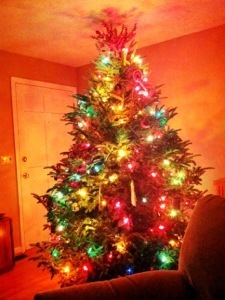 It’s been on top of a Bowles Christmas tree every year. 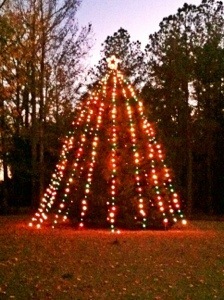 Today was the 25th anniversary of the lighting of our outdoor tree and the 50th anniversary for that star. It was a full day, but I have ended the day with such a full heart. 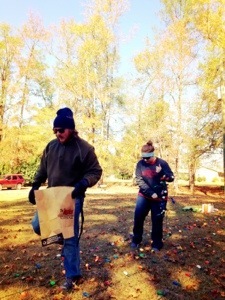 I’m thankful for my family and all of the weird, awesome, and slightly redneck things we do. Today I’m thankful that the Lord perfectly orchestrated 2 family’s paths to cross and forever change both. My parents have been scuba diving and vacationing with a group of couples for nearly 15 years. About 2 years ago, I got accepted into Southeastern Baptist Theological Seminary. Little did I know that I would be moving to North Carolina and living within 2 miles from my mom and dad’s closest friends. Needless to say, my parents were relieved I’d have someone to take care of me. To be honest, I was a bit nervous. I didn’t want to be a burden to family friends, and didn’t know much about these people that would now essentially be my lifeline in North Carolina. During preview weekend, we were all able to enjoy a meal together at Rick and Peg’s house. I got to hear stories of all their vacations and slowly felt at ease. They were as loud, loving, and opinionated as my own family, so I slowly settled in. Let’s just say that settling in process didn’t take long. After weekly dinners (Haasta Pasta nights), walks at the park, and pottery festivals I found myself right at home–my second home. Rick and Peg have gone from being strangers to friends to family. I thank the Lord daily for their friendship and love. They take care of me when I’m sick, make me laugh until I cry, and have welcomed me with open hearts and arms. I couldn’t be more thankful that our paths crossed, and that they have adopted me into their family. Today, I am thankful for my Uncle Sonny. He has always been like a bigger brother to me rather than an uncle. He challenges me to dream big, to follow the Lord and not the voices of the other, and always keeps me laughing and grounded. I distinctly remember a time he drove to my college campus. I wanted to quit. I was overwhelmed with the “real world” and life decisions. He spent the afternoon with me and at the end of the day had me lie on the lawn outside my dorm. He told me to look up and tell him what I could see. I told him nothing but the sky. He said that in the end, that’s all that matters. The things of this world are fleeting. The only thing that matters is the Kingdom of God. On top of being a pretty awesome uncle, he is also a wonderful writer. I received this message and photo from him today and thought I’d share. This is where I vote. 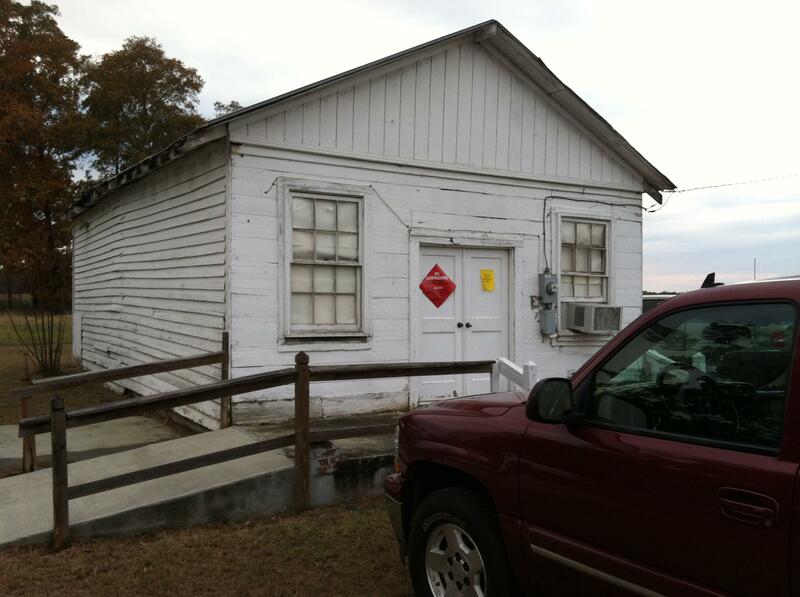 It is an old store out on a country road lined with dairy cattle and peanut fields. There is nothing inside but a table, two voting machines and a gas heater. There were no lines and very little waiting. I was greeted by an older gray haired gentlemen who called me by name, although while I am familiar with his face I cannot recall his name. A very sweet elderly lady took my license and called me honey. Then I waited the 2 minutes for my turn. There were old yellow cafeteria chairs to sit in, but I stood by the heater partially because it was getting chilly outside and partially because the smell reminded me of my Grandpa’s house. So I waited about 10 minutes talking about the weather in front of that heater before I voted although there was no one using the machine. Somedays the ride into work from here seems long. Today, it felt just right. Thankful for him. Thankful for the ability to vote. Thankful for those who sacrificed much to make it possible. Today my heart overflows with thanks for First Baptist Church Louisville, GA, the leaders who taught me, and the friends who challenged me during that season. FBC may have not been flashy or full of jeans and projector screens, but it was in those tiny pews in my dress clothes that I learned the character of God. So thankful for people like Preacher Dude (Mr. Larry), Bill Smith (music minister and young musicians fearless leader! ), and Shane Padgett (former youth pastor) who decided to minister to a little red-head in an even smaller town. They didn’t do it for the glory or the fame (none of that is associated with Louisville). They may have only been there for a season or a lifetime. But they changed my life forever by being faithful to the call of the Lord to minister whole-heartedly wherever He placed them. Preacher Dude offered such wisdom and taught me it was okay to not know all the answers. Mr. Bill tirelessly taught us every song and hymn known to man. Although we had to ride that horrible bus each week and wear ridiculous costumes, I still find myself singing those wonderful hymns (and even some of the dorky yet catchy young musician songs). Shane challenged me to study the Word with a fervor I’d never had before, and to step up and stand out for the faith. My FBC family was one that can never be replaced. Each person touched my life a different way and I am forever thankful for their craziness, friendship, and ministry. Wherever you are, whatever you’re doing….I want you to know that I thank the Lord for you all. I pray you are continuing to admonish and teach those around you, because your efforts are not in vain. 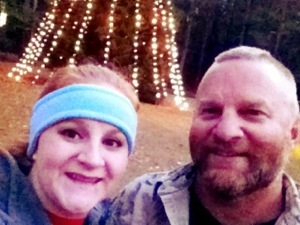 Next to my salvation, the greatest gift the Lord has ever given me is my fiance, Stephen. Never has someone known or loved me so well. He is my love, my pursuer, my best friend, my leader, my comic relief, my biggest fan, and my favorite person ever. He challenges me daily, loves me dearly, and encourages me always. Although he may look intimidating, he is a sweet, selfless romantic. My own Mr. Darcy. (Seriously. He gave me a leather bound copy of Jane Austen’s novels. Including Pride and Prejudice with specific sections marked, complete with his intentions written in the front cover. *swoon*) I’m a lucky lady. Believe me, I know. Stephen, I love you so much. You make me want to be a better, more godly woman. You have shown me selflessness and love beyond comprehension. You are patient and gracious when I’m difficult and stubborn. Even when I am unlovable, you are outspoken of your affections for me. You love me like Jesus. The more I see that lived out, the more I am drawn to the lavish love of my Jesus. Grateful for even a fallen earthly glimpse of His perfect love. You’re the best snuggler, a true competitor (who never lets me win – which I appreciate), and ridiculous as ever. I know I’m weird, but you’re weird as woah–which is comforting because I feel somewhat normal when we’re together 🙂 You love my crazy family and fit right in! Let it be known that they adore you as well. Even though we’re 6 hours away, you are interested in every little detail of my life and anxiously await the day you can join me in them. And we both pray that is very soon! It will be the greatest honor to be your wife–to serve you and minister alongside you. I am extremely blessed to be your girl. The one you chose. Your forever. I pray that you know without a doubt that you are mine. I am possibly the worst person when it comes to commitment (ask my fiancé). I find a way to wrap myself in excuses or I get so busy that I can’t finish anything I start (hello, ENFJ/P- I forget). My hurried, chaotic nature causes me to become so worried and anxious that I rarely stop to give thanks. I focus on my problems, but not the blessings. Gosh, I’m so far from my family—-thank you for a family that loves me and I love enough to miss. I work until 9pm 5 days a week! This is awful—thank you Jesus for my job. This semester is going to kill me—thank you for the opportunity to study Your Word and learn to be a better follower and disciple-maker. My bed is 6 feet in the air! I’m an adult not a student—thank you, Lord that I have a soft, warm place to rest my head. I’m challenging myself this month to have a conscious attitude of thanks. From the big to small. Significant to insignificant. And to give all of the thanks, worship, & praise to God. Day 1…today I am thankful for my roommate and friend, Suzanne who had homemade broccoli cheddar soup and sister Schubert rolls waiting on me after work 🙂 the best kind of end to a long long day.